I am very sad today. My kitty passed away the other night. It happened all too soon. I have to say that he was an absolute joy of a house pet. He would follow me around everywhere, in the house, “talking” to me about what he did that day. He laid on top of me with his heavy furry body, curled up in a big ball. Whenever I let him out, he would come back in about 10 minutes because he would rather be in the comfort of home and among the company of humans, rather than chase critters up a tree. I call him Mac because he was always user-friendly and welcoming to all who entered our home. He was my little best friend. He was my baby. 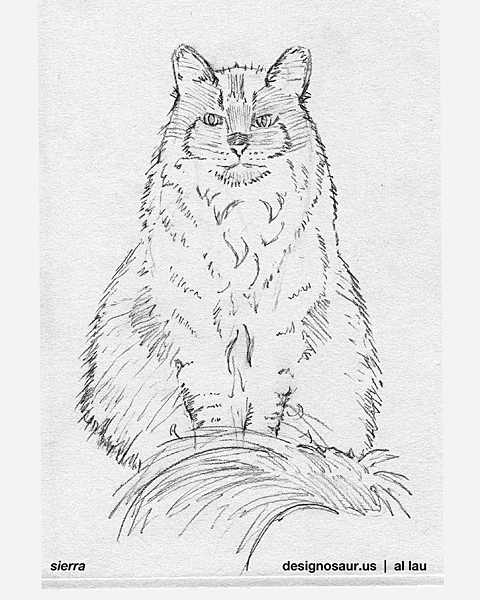 Chances are, if you’ve seen cat art on my website, he was the model. He inspired the character that is featured in my cartoons and in my drawings. A couple months ago, seizures inflicted him. I tried to nurse him back to health through different types of treatments. Using certain meds was like a double-edged sword. He would be sedated, suppressing the ugly seizure, however, he would be too weak to do much else. One final episode got the best of him in the middle of the night. He “called” out, letting me know it was time to go. I ran to him for embrace. Then, he laid still. I could not believe it. I cried for hours (even now as I write this). He did have a full happy life of 14 years. I dedicate this post to him. Soon, he will be cremated and returned to the gentle earth, in everlasting peace. I will always remember and love you, my sweet cat. 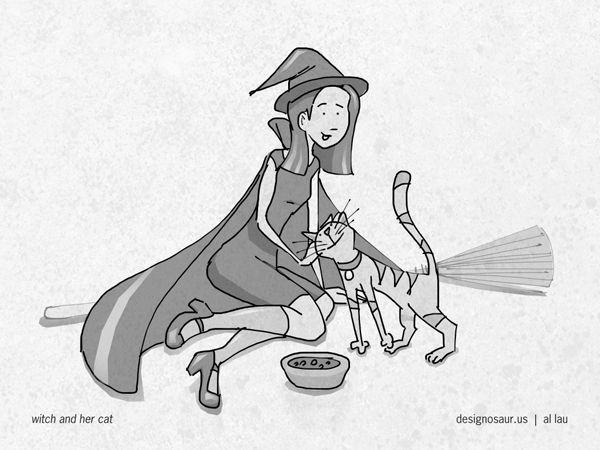 The “wicked” witch takes a moment away from being scary, and gives a cat much needed attention. 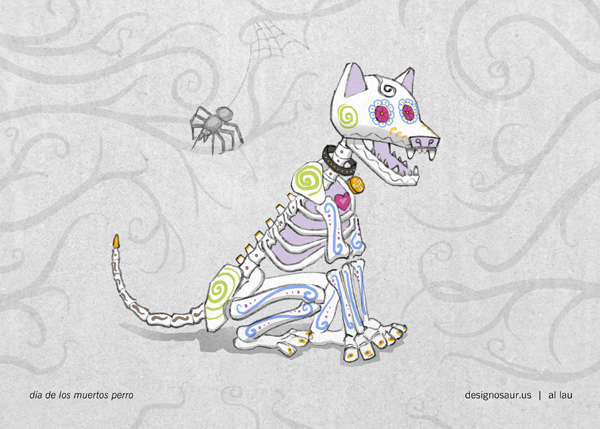 My cat was the model for this drawing, hence the cat not being a black cat. 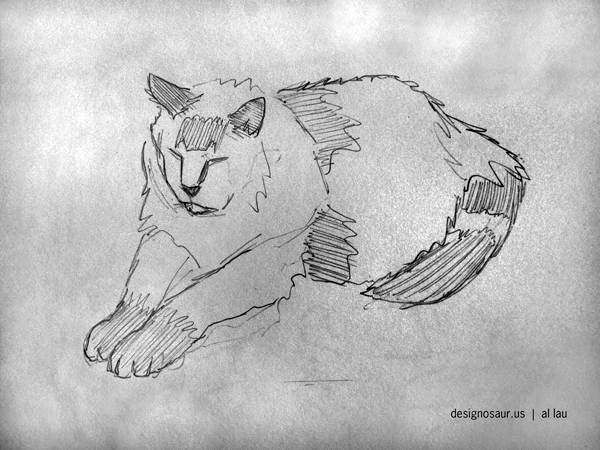 A quick sketch of one my cats, resting on the bed. It’s relaxing to draw cats, and they make excellent models.